The Spanish AVE high speed train network is a fast comfortable and affordably priced way of travelling around the country. 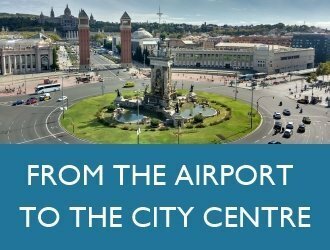 In many cases the AVE is more convenient than flying because you don’t have to transfer between the airport and the city centre and can board the train just minutes before it departs instead of having to check in an hour beforehand like you do when you fly. What a lot of people don’t realize is that when you purchase an AVE train ticket you are entitled to 2 free tickets on the local commuter train network. The tickets are called Combinado Cercanias and can be used to get to the station which the AVE departs from and from the station which the AVE arrives at to your final destination. It doesn’t matter whether your final destination is within the city that the AVE arrives at or is another town on the city’s commuter network. 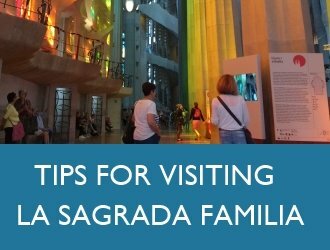 For example, if you are going to Badalona by train and take the AVE to Barcelona. You are entitled to a free commuter train ticket from Barcelona to Badalona. 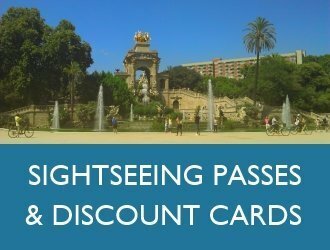 Likewise if your hotel is near Plaça de Catalunya in downtown Barcelona you can use the Rodalies commuter train to transfer from Plaça de Catalunya to Barcelona Sants station for free. 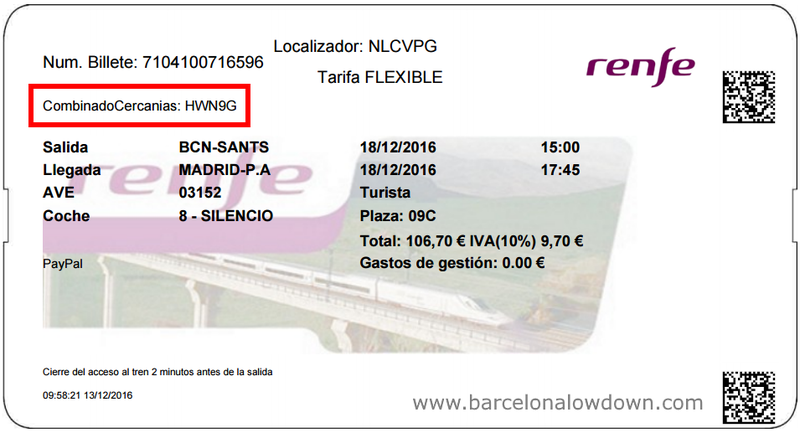 You are only entitled to two commuter train tickets (Cercanias / Rodalies / FEVE) per AVE ticket purchased. One to get to the station which the AVE departs from and one to get from the AVE to your final destination. The offer is only valid for a 4 hour period before or after yor AVE train journey. For example you can’t take the AVE to Barcelona and then use the free ticket to catch the train to the to the airport 3 days later. 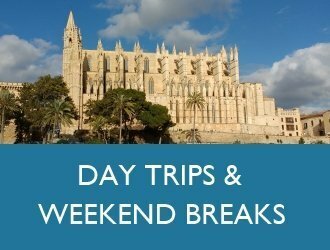 The offer is currently valid for the local commuter train networks at the following Spanish cities: Alicante, Asturias, Barcelona, Girona, Camp de Tarragona, Cartagena, Bilbao, Cádiz, Madrid, Málaga, Murcia, San Sebastián, Santander, Seville, Valencia and Zaragoza. You must claim your commuter train ticket from the ticket machines at the train station. You can’t just get on the Cercanias train with your AVE ticket. You must keep your Cercanias ticket until you arrive at your final destination. You will need it to get through the ticket barriers when leaving the station. There is also a chance that ticket inspectors may ask to see your ticket. This post is illustrated with photo’s taken at Mataró train station (30km north of Barcelona) when travelling to catch a train to Madrid. If you are arriving at Barcelona Sants on the AVE and travelling on to your hotel in Barcelona or a surrounding town the procedure will be the same but more stations will be displayed in step number four. When you receive (or print out) your AVE train ticket look for the words Combinado Cercanias followed by a sequence of numbers and letters. This 5 digit sequence of numbers and letters is the code that you use to claim your free commuter train ticket. Note that in Madrid the commuter trains are called Cercanias in Barcelona Rodalies and Bilbao FEVE but the process is basically the same. 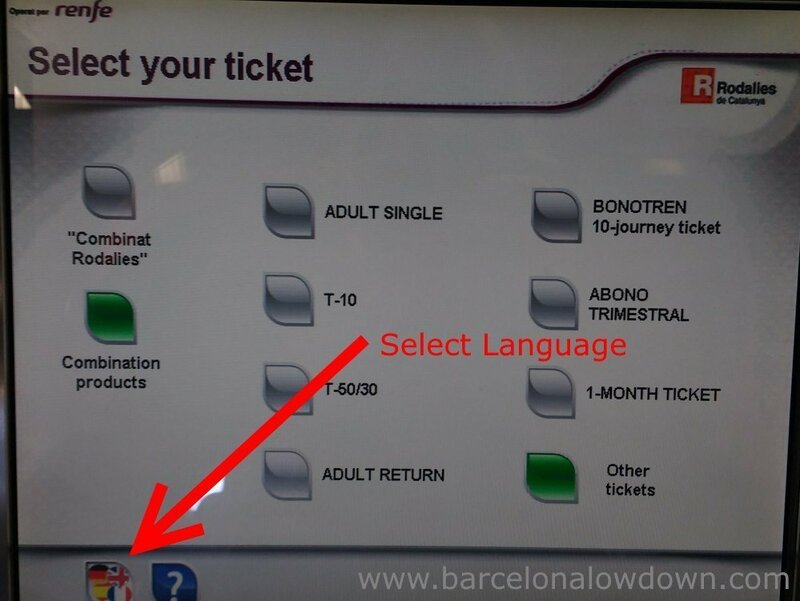 Go to the ticket machines at the train station and press the flags icon at the bottom of the screen to select your preferred language. Each time you press the icon the machine changes to the next language. With the language changed to English the first screen is titled Select Your Ticket. 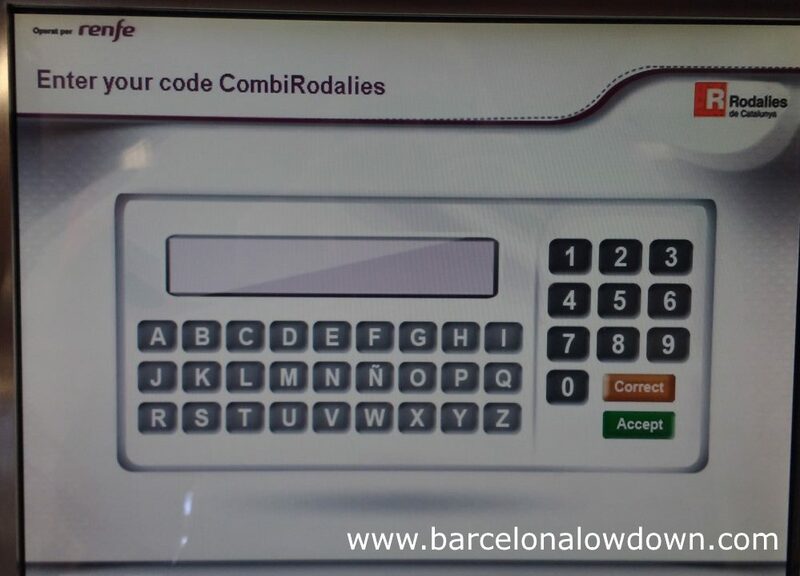 Press the button labelled Combinat Rodalies at the top left of the screen. Note: even though you have selected English this is in Catalan, if you select Spanish it will say Combinado Cercanias. Select your destination. Since we are in Barcelona and going to take the AVE train to Madrid, the only option is Barcelona Sants since it is the station that the AVE departs from. 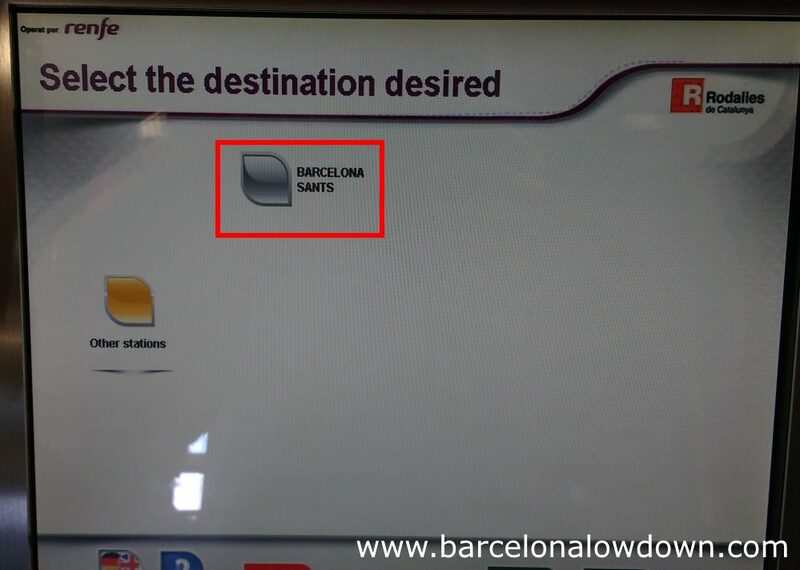 At Barcelona Sants station there will be a list of stations to choose from. Next you enter the code which appears on your AVE train ticket next to the words Combinado Cercanias. Using the ticket shown above we type in HWN9G. Finally press Accept and the machine will print out a ticket which is valid for your selected destination. If you are in Madrid the machines are slightly different but the process is basically the same. Some newer ticket machines also allow you to scan the bar-code on the ticket instead of typing in the code manually. If the bar-code doesn’t work you can still enter the code by hand. If there are no ticket machines available at the station you are departing from, you can also claim your free Combinado Cercanias at the ticket office. Did you find this post useful? Please share it with your friends on your favourite social media. Any questions? Leave a comment below. 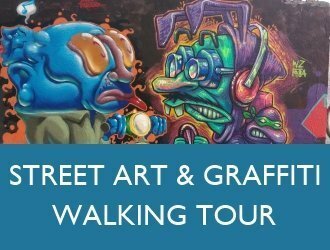 This entry was posted in Tips tagged free, train, travel and updated on February 7, 2017 by Richard. This is great news. I will be staying near to the Glories metro stop and am wondering if I can use the combinado ticket to get there? The Combinado Cercanias ticket is only valid for RENFE operated commuter trains. Called Cercanias in Spanish, or Rodalies in Catalan. It’s not valid for the metro. 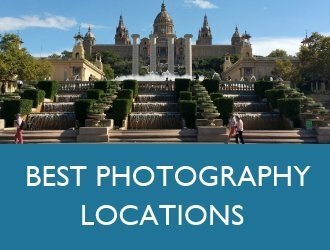 The nearest train station to the Gloriès metro stop is Barcelona El Clot Aragó which is about a 10 minute walk away. 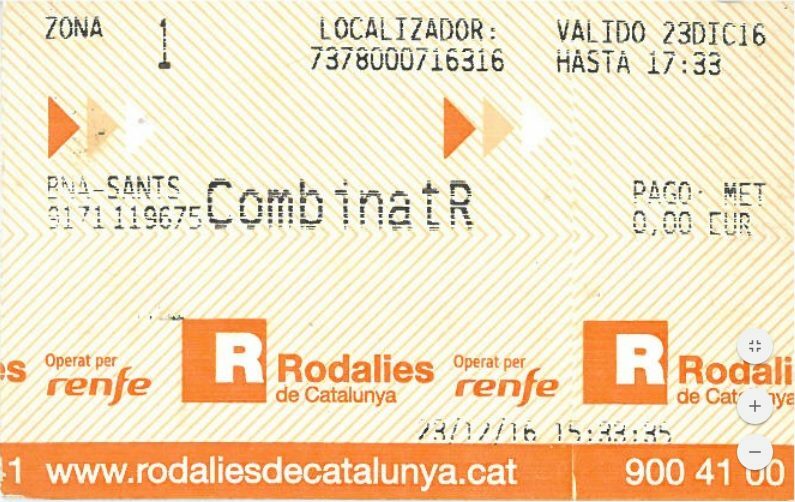 You could use the combinado ticket to take the R1 or R2 train from Barcelona Sants to there.